With more than 460 million members worldwide, LinkedIn is the undisputed champion of professional networking. 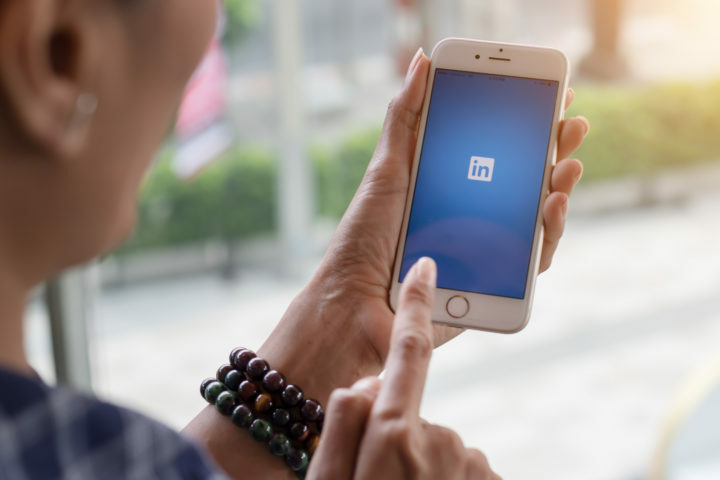 A powerful tool for individuals and companies alike looking to make new connections, generate leads, and build their brand – Professional Contractors shouldn’t wait another moment to actively incorporate LinkedIn into their daily marketing strategy. As THE primary channel for professional content distribution, there’s no more effective network for establishing yourself as a leader in your industry. Joining specific LinkedIn groups also allows you to position yourself as a trusted provider and indeed influencer in your niche. In addition recommendations and endorsements can go a long way to solidifying your reputation as a trusted entity in your field. Forbes outlines other reasons to why you should be on LinkedIn here. One of the easiest ways to stand out in LinkedIn is simply to be active! Interacting with others, sending invitations to connect, being active in discussions and sharing useful content all serve as opportunities to expand your professional network, build your authority and interact with your audience. From the outset, your profile sets the stage for your first contact with potential new clients, displaying your work history, client recommendations, and skill set. Because the profile template is geared towards a more traditional employment background, it can be tricky to figure out how to best present yourself as a professional contractor. The Headline section is a short caption that appears below your name, and is the first thing people will see in search results, group discussions, and in their home feed. The Headline automatically defaults to your current title, but editing it to include keywords and a short descriptor of your services will make it much more effective and eye catching. For example, if you’re a financial advisor, your Headline might read: “Financial Consultant. I advise businesses on how to plan, invest, and save.” There is a 120-character limit for the Headline section, but try and keep your description short and to the point. Be sure to include keywords to enhance search engine optimisation (SEO) when filling out all parts of your profile. Optimising simply means using keywords or terms that define what you do such as “SQL database expert,” or “acquisition marketing” in your headline and throughout your profile. This helps to optimise your profile for search, which means it will more likely to appear when someone searches those keywords or phrases on LinkedIn or on a search engine. Customising your URL will also make it easier for you to be found. Sort your work experience by category. To do this, highlight a specific type of work you performed in the Company Name field. For example, “SEO Expert.” Include a self-employed descriptor in the Title field, such as “Professional Contractor.” Then, in the Description field, include a brief summary of the various projects you’ve completed in this work category. Once you’ve organised your work experience, add corresponding documents, photos, links, videos, or presentations to each section to provide prospective clients with concrete examples of your work. Use this space as your visual portfolio. You’ll also see a section called Projects on your profile. This can be a good place to highlight tangible things you’ve worked on such as an annual report or web launch. You can link to a supporting URL, or add team members you may have collaborated with. The Skills section is a useful visual summary of your expertise. List your industry-relevant skills here. Endorsements also appear here, and serve as built-in testimonials. Don’t hesitate to reach out to past clients and ask them to write a recommendation on your behalf. Just be sure to send a personalised message to the person reminding them of the project you worked on and your accomplishments. Also endorse companies or other professional contractors you’ve worked with. They will often be happy to reciprocate the recommendation. As you begin to connect with current and past clients, industry leaders, and colleagues, be sure to maintain an active and visible presence. Link your blog or website to your account, and share relevant news and business updates. Joining groups is a great way to put your voice in the mix and build connections. Use groups to ask and answer questions, share ideas, and collaborate on projects. The Irish Contractors Group is a great platform to share your thoughts, ideas, and discover potential opportunities. By simply ‘liking’ a post that’s relevant to your industry on LinkedIn, you’ll essentially be broadcasting content to your entire network. Ensure your network connections are influential people in your field and that you keep a close eye on your news feeds every day. Even “liking” a post once a day will put you in the direct eye line of your network. Your Social Selling Index (SSI) measures how effective you are at establishing your professional brand, finding the right people, engaging with insights, and building relationships. Keep an eye on it here.